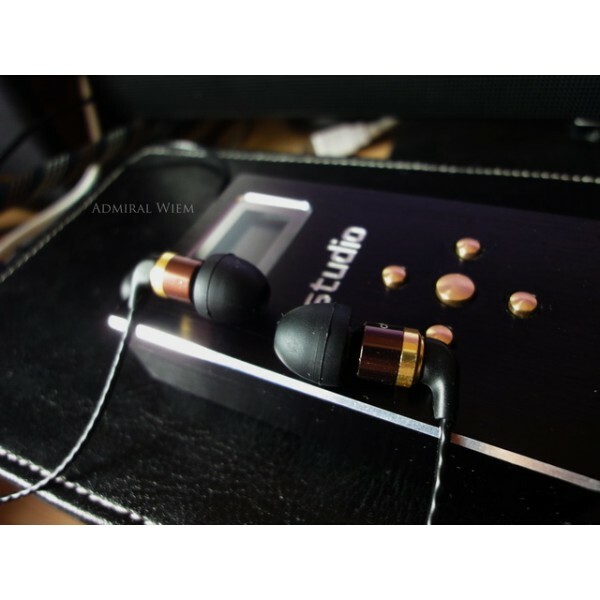 The Golden Crystal is the spirit combined with the features of Dynamic and BA earphones. It has the high resolution strength like the Balanced Armature earphones, at the same time, it has the strong bass with great dynamics and transients. The extended, smoothe and sparkling highs establishes the well known fame of the Golden Crystal. It is seldom that earphones have the powerful highs of Golden Crystal. Even the thinnest sound of a Triangle can be heard with the enough clarity and adequate details. It is very suitable to play the music of strings and piano, for the music has a huge and dark space feeling. In the mean time, Golden Crystal also has punchy bass. This strength makes it outdo most BA type earphones. The bass is very clean, layered and detailed. It is very unique to most bassy earphones. The well controlled bass will never cloud the mids and highs. These advantages makes the mids become very clean. The clean mids can present the crisp sound and accurate positioning of the instruments. The Golden Crystal has the best organ of the 3 frequency conjunction; its mixture of the features of the high quality Dynamic bass and BA driver’s clear mids and detail highs. The 5mm driver is the smallest earphone in the world. The tiny size makes it very comfortable for wearing. The advantage characters of extremely balanced frequencies, unbounded highs and transparent mids make Golden Crystal qualified to be a reference grade earphone. The core cable: 99.9999% FOC thread+ Silver thread.